Learn about Topsy’s reputation management service for businesses. Includes info on Topsy, free trials, pricing, customer reviews, and FAQs. Topsy is a reputation management platform for businesses. Topsy’s solutions include customizable alerts, influence rankings and sentiment analysis. Businesses can use Topsy to make smart, data-driven marketing decisions. Topsy’s reputation management service is absolutely free. Pros: Great ability to extract meaningful business data from Twitter. Cons: The software is limited to public tweets only. Bottomline: Fantastic tool that indexes and searches every public tweet posted. Is there a Topsy free trial? 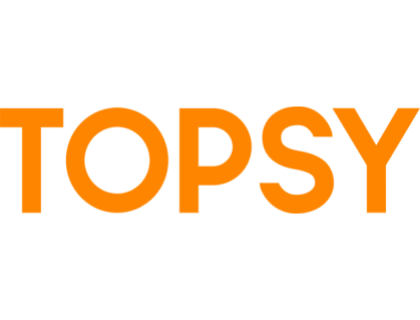 Where can I find the Topsy login? You can go to http://topsy.thisisthebrigade.com and find the “Sign In” at the top right corner of the homepage. What are some Topsy alternatives? Topsy’s business is to build a full-scale index of the social web to provide users and customers with powerful social analytic products, and the data to be analyzed.